Autumn Joy is a magical 12-month block-of-the-month that captures the best of the harvest season with moonlit nights, harvest moons, pumpkins, and turkeys. The finished quilt measures 67 inches wide by 66 long. The pattern has both pieced and appliqued blocks. 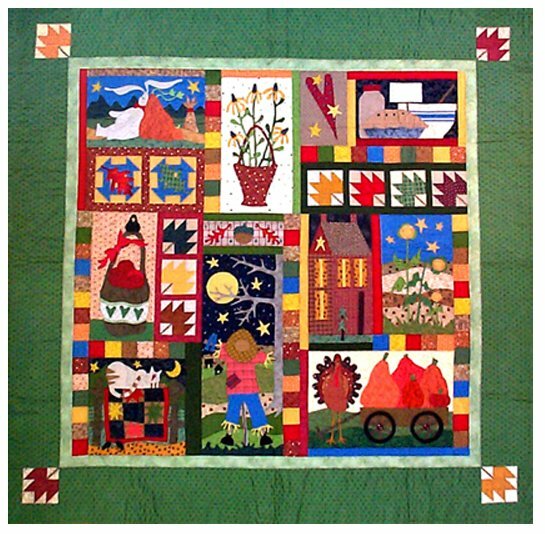 You will see the quilt come alive as you make the individual sections and join them together in Month Twelve. If you wish to purchase an individual monthly pattern, please email us.